Sewage spills can flood human waste into your home or business in Schenectady, Albany, or Troy. Raw sewage can bring with it foul odors and dangerous contaminants that can negatively impact your health. Make sure you are ready to handle a sewage backup the right way by contacting 911 Restoration of Albany right away. The sewage cleanup techs at 911 Restoration of Albany have years of experience cleaning up raw sewage. We have the protective equipment to handle sewage removal safely. Our techs are also trained in the best ways to ensure your property is completely cleaned and disinfected after a sewage water backup. 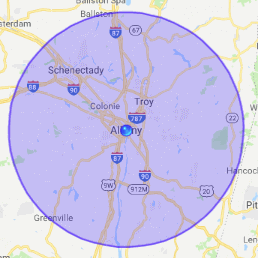 You can reach out to our sewage water cleanup techs right away if you experience a sewage backup here in Albany, Troy, or Schenectady. Crews can reach your property within 45 minutes of an emergency call, no matter what time of day you call us. In fact, techs man the phones 24/7/365. As a professional water cleanup company, 911 Restoration of Albany can remove excess water and handle water damage restoration. Your property can be returned to perfect condition after a sewage spill. You can take the first step towards getting a Fresh Start after a toilet backup by contacting us today. All forms of water damage can cause big problems for property owners in Schenectady, Albany, and Troy. Sewage water damage comes with unique challenges that should be addressed by professionals who have the appropriate equipment and training. Sewage backups can spill water onto your floors. This can be dangerous because raw sewage contains bacteria and pathogens that can lead to illness if you come into contact with them. You should avoid touching raw sewage and contact a sewage water cleanup professional to safely remove the sewage from your property. Sewage restoration can return your property to better-than-new condition if you call the professionals right away. You do not have to deal with the aftereffects of toilet water damage on your own. Let us begin working for you right now, so you can get back your peace of mind. Our techs will not rest until you cannot tell that a sewage spill ever occurred. We will ensure all foul odors are removed from your property and that any water damage that took place is completely restored. 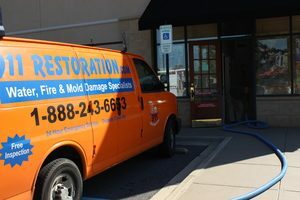 Get the ball rolling on your property restoration project in Schenectady, Albany, or Troy by calling us right now. What Causes Sewage Backups in Schenectady? The time period after you first discover a sewage spill is often tense. You will need to contact a professional sewage cleanup crew and begin the sewage restoration process. However, after you get a moment to breathe, you may end up wondering what led to the sewage water backup you experienced. Sewage water damage can be caused by a number of issues. Sometimes, sewage pipes become clogged. This may happen if grease is poured down sinks. 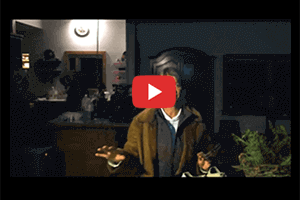 Roots can also grow into some sewage pipes – especially old clay pipes – and completely clog them. Heavy rains can also overwhelm some sewage systems, pushing raw waste back up sewage lines and out into your home or business, leading to toilet water damage. Any of these issues could be the cause of a sewage spill in Schenectady, Albany, or Troy. You can prevent sewage water backups in some cases by protecting your pipes. Make sure that you don’t pour grease into your sewage lines and call the professionals at the first sign that a sewage backup might be occurring. If it’s too late for prevention, the crew at 911 Restoration of Albany is here to help you handle the sewage water cleanup process. 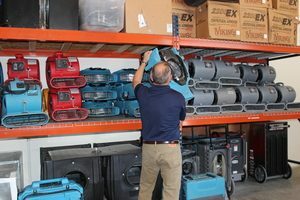 We have the equipment and training to clean up your home or business, removing all traces of sewage from your property. We believe in offering clients in your position tireless help until the sewage restoration process is 100% completed, so call us today.